I learned this week that the Technology Integration Specialist job that I have had the pleasure of doing last year and this year is not going to be renewed (There is always a chance that could change, but not looking likely) due to state budget cuts. This move will take me back to teaching Social Studies again. I am disappointed that I will no longer continue to do this job, which I have loved. There is, however, some excitement about returning to the classroom to use and share so much of what I have learned about in these past two years. At the same time, I feel there will be a bit of pressure on me to "prove" that I can do what I have been encouraging so many other teachers to do. I am not worried about that pressure, I just know that it is going to be there. I always like a challenge, and I feel going back is a challenge, because so much in education has changed since I "left" the classroom. Like I said, there is some excitement about interacting with the kids again, but there is less excitement about the increased "paper work" that now goes with teaching. The best thing about these past two years is my increased passion towards the teaching profession. I have learned some valuable lessons. I have learned about some valuable tools. I have met (both face to face and online) some outstanding educators, administrators, students, and technology staff. Looking back, I feel like my brain has been overloaded with #edchat, #edtech, and everything in between. Because of this new found knowledge and passion, what will I be doing differently with my students? This is definitely just the short list. There are several classroom management and instructional tools/ideas that I will also incorporate into my classroom as well. I will have high expectations for my students when it comes to being engaged in my classroom. 1.) I will be using Twitter and Group Tweet to interact with students and provide homework, extra credit, links, resources, etc. 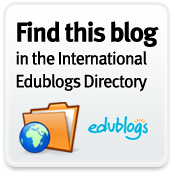 I also hope to use it as a teaching tool like the Teaching Paperless Blog did. 2.) I am contemplating creating a Facebook Page for students which I will provide information, extra credit, etc. My first order of business though, will be to explain to students how to make their profile private. 3.) I want to have my students writing blogs. I am not sure yet how I will integrate that into Social Studies, but I am researching ideas. 4.) From the video The Independent Project, students talked about their "Individual Endeavors" that they did. I would love to incorporate something like that into my classroom. 6.) I will have to completely revamp my lessons and lecture because I will have so many new tools at my disposal. 7.) Create a blog for my students to interact with as well and provide an area for discussion over various topics. 8.) Using videos, like TED Talks, to create discussion. Most of the videos I showed before, were just time consuming. I really want them to invoke discussion among my students. 9.) Use available resources to teach history by teaching today. So what will become of "The Pursuit of Technology Integration Happiness?" Well, my goal is to keep it going. Whether I can post to it as often is still up in the air because I will be focusing more on student lesson and activity development. 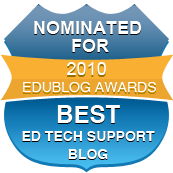 My blog might turn into a combination of resource sharing and classroom sharing. I really am not sure, I just know it will be something I think about over the summer. Would love to hear what you all think, and if you have gone back to the classroom, what have you done differently? What new things would you do with your students?